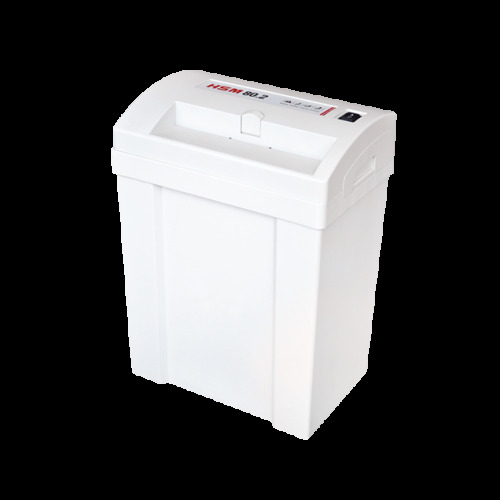 Compact solid document shredder for the home or for use in a small office. With zero power consumption in standby mode. The high quality materials and proven HSM "Made in Germany" quality guarantee you are receiving a safe and durable machine. The operation is very easy: the device starts automatically when fed with paper and automatically stops after shredding is complete. In standby mode, the document shredder does not consume any power. To empty the waste container, the housing top can be easily removed.